Teens are very enthusiastic and energetic. Teenagers are in the period when they need good activities to communicate with each other and develop constructive relationships. Mostly, they prefer to stay around modern technologies and surf the internet. However, for better collaboration, there is a need for teenagers to work together. This is because, through positive interactions, they discover more of their personal needs, the need of others, their common problems and how to help each other. Since it is the time when they always try new things and get bored of those old things, it’s good to know how we can help them. Team building for teens is aimed at bringing a group of teenagers together to work effectively as a team. This is done through gaming activities geared towards motivating them and promoting cooperation. I want to present a few benefits of team building activities for teenagers. Of course, there may be many more but I will mention the most important in my opinion. The saying, “where is one powerless power where the two power increases are specific to adolescents”. And they need to help each other and so will be more productive. Team building activities help them to unite and form a strong team. Participating together in the team increases their efficiency and productivity. They have to work together for a well-established purpose from the beginning. Of course, goals need to be good and provide encouragement and building. 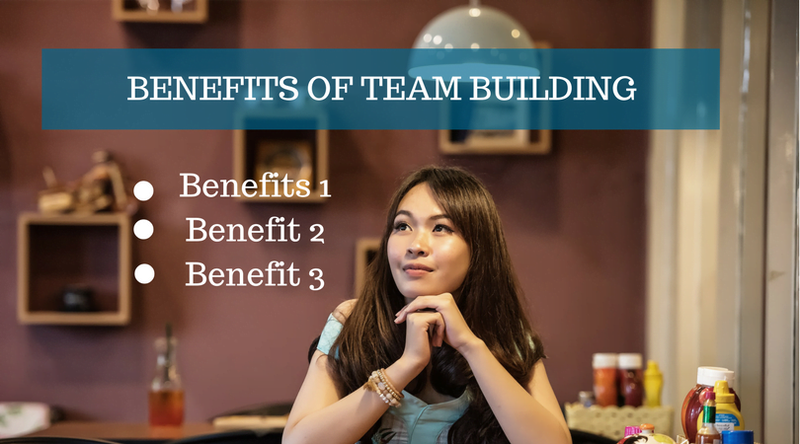 Look for team building activities that will offer all of this. Due to the inferiority complex, many adolescents do not communicate with each other and are more reserved about it. The teenagers that go through this stage are more difficult if there is no effective communication between them. However, there are many activities that can make them open and initiate conversations. Encouraging a teenager to participate in a team building activity can help him socialize. This can even be more obvious if he or his team wins the game. He will be very happy and more open to the team members in other to win again. Thus, creating conditions to communicate and socialize with others. I know it may seem too early to talk about teens planning. However, if this is done at this stage, they become more responsible and attentive to what is entrusted to them. In team building activities to win some tests or competitions, adolescents need to think and plan in the smallest details on how to play in to win with the whole team. Doing this repeatedly helps them and with time becomes a habit. In conclusion, the benefits of team building for teens are numerous. Below are some ideas for team building activities for teens as well as for other categories of people. ‍Back to Back Driving – Here, you must pay more attention. Select 2 players from your team for each round. The 2 will back each other, one with a picture, and the other, drawing tools. Describe what you have in your picture while the other person draws it. While describing, you must not mention the name of what you have. The other participant has to draw only from your description and you’ll see how close the drawing looks when compared to the picture. Truth and a Lie Ideas –Every game has distinct qualities that make it best fit for any team. The 2 Truths and a Lie Ideas is a perfect team building activity for teens, especially when you’re just meeting for the for the first time. Or maybe you’ve been together as a team, but knows a little about each other. It’s a complete icebreaker game. Here, you will write 3 things about yourself, 2 of which is true, and 1 lie. Collect all the write-ups with a basket and pass around again. This time, if you pick up any, you’ll specify if the person on the note is saying the truth or lie about himself. A victim and the kidnapper – All the participants should form a circle. You’ll choose 2 persons from the group, a kidnapper and the victim. Blindfold the both and have them in the circle. Now, the kidnapper has only 30 seconds to catch the victim. Even when blindfolded, you can recognize voices, so everyone should be quiet. The kidnapper will try to catch the prospect, while as the potential victim, you avoid that too. When caught in 30 seconds, you’ll switch place with the Kidnapper. Cross the river Game – It’s another simple team building game you can try. Once you have your team, you’ll only need sheets or wooden boards. Divide the team into 2 groups. Each team will cross a marked distance walking only on the sheets or boards in each case. If you leave the sheet, your team will start all over again. Give the first player 2 sheets. Let’s say you’re the first now, place the 2 sheets on the floor and walk over it, while your team follows sooth. When it gets to the last person, he’ll pass you the last sheet so you place it on the floor and continue. You’ll continue switching the sheets till you get to the finish line.